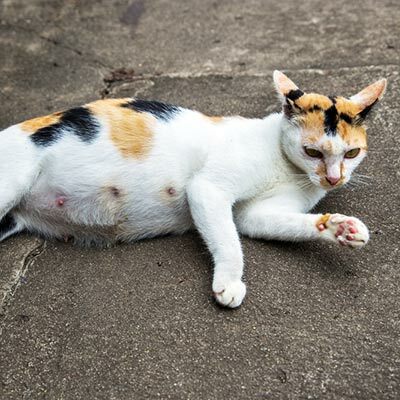 Cat's pregnancy is approximately 66-67 days. The wife cat gives birth to 3 to 5 children at once.The eyes are closed when the babies are born. In one week their eyes are open.Female cats gain breeding capacity within 5-10 months, On the contrary, male cats gain breeding capacity within 5-7 months.The female cat conceives two to three times a year.A woman cat can produce around 150 children in life.The average life expectancy for cats is 12-14 years. The female cat lives more than two years more than male cats. @saifsinformation great and nice information to refresh the concepts and keep sharing with us.